Happy Thanksgiving – Let’s count our blessings. For many of us Thanksgiving reminds us of family visits and turkey dinners with loved ones. It is a time to reconnect with family and ourselves. Thanksgiving is a time to focus on gratitude. 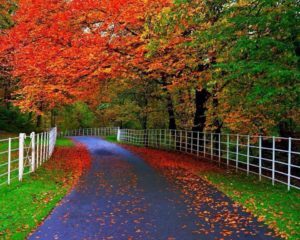 Let’s count our blessings such as the people and things that we appreciate in our life. This is a good time to make gratitude a part of our daily practice not just on Thanksgiving. Mother Nature so freely offers us so much to appreciate. So let’s count our blessings each and everyday. Gratitude is an important spiritual practice that is included in my Practice the Spiritual Practices Classes. Using gratitude as an intention transforms our thinking and therefore our reality. Seeing the glass as half full rather than half empty allows us to receive and to fill our cup to brim and reap the many benefits of gratitude. What we focus on we create more of and expands. Through gratitude we naturally let go of limiting beliefs. We then open to new opportunities for growth and expansion on all levels. This shift in thinking is simple yet powerful as all the spiritual practices that I teach in my Practice the Spiritual Practices Classes. Everyone and everything in our life gives us the chance to acknowledge God within us and in them. We get to experience oneness when we have a practice of gratitude. Happy Thanksgiving to one and all. Let everyday be a day of Thanksgiving as we count our blessings for we are all truly loved, blessed and guided by Source. 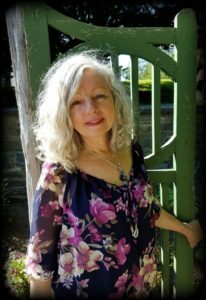 ” “COLLABORATION IN SPIRIT” with Maureen Brennan Mercier is one of the most authentic and heart rendering Spiritual Channeling that I had the honor to listen to and absorb. Maureen always comes from her heart in a gentle guided wisdom that is abundantly healing and through the beauty of her voice captures the voice of all our Ancestors. She brings you to the recesses of your soul and through her guidance enables you to continue on your journey in an enlightened way. Please embrace this gift she humbly shares with us. At the beginning of your Intuitive Reading, I go deep into a meditative state and ask Spirit to allow me to be a clear and pure channel of love, healing and guidance for you. The answer to each question flows through me in words and pictures and the information received is spiritual in nature, yet practical for everyday life.